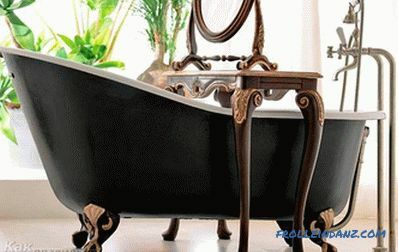 In the process of developing and building a bath should carefully consider all the activities on which the functioning of the steam room depends. A relaxing and curative result is simply unthinkable without a good warm-up in the steam room. If the heat in the steam room does not hold, then it will have to be heated for a very long time to the required temperature, which will lead to serious costs. It is better to think in advance about the insulation of the steam room. Before you insulate the steam room with your own hands, we recommend that you familiarize yourself with our materials. should be fire-resistant (this is very important because the temperature in the steam can sometimes exceed 100 ° C). 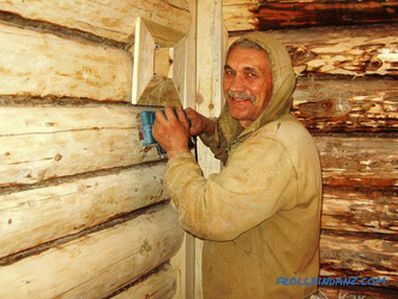 Far from all insulating materials meet these requirements. Basalt wool is usually used for warming the steam room. 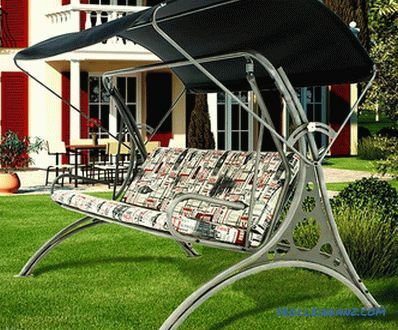 It has the appropriate properties and has an affordable price. In addition, you can use synthetic plates. As a heater for the floor, you can use the expanded clay layer. 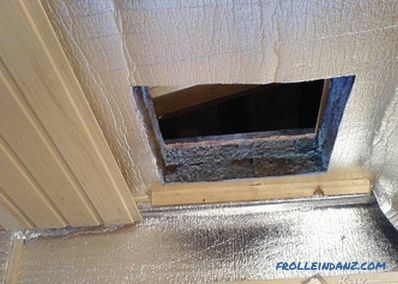 As an additional insulation for the ceiling using foiled insulation. 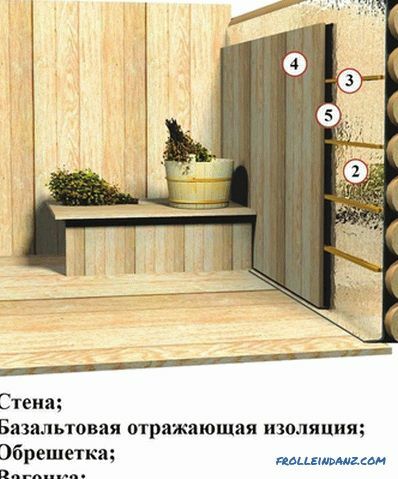 Sheathing insulation Of paramount importance in the arrangement of the steam room. At first glue sheets of plain white paper to the ceiling. Tamp on the resulting cloth wooden crates. Then lay mineral wool between the bars so that the tree protrudes slightly outwards. Support mineral wool with battered planks. Secure the foil on top of the insulation. 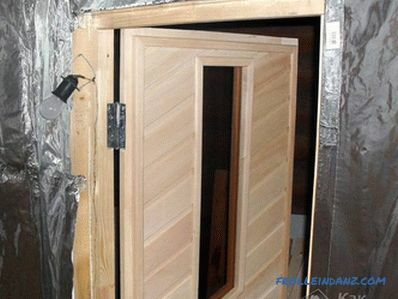 It will reflect heat and protect the insulation from moisture. Seal the gaps carefully. On top of all this, tamp the straps, to which you can later attach the cladding materials. Another possible way to insulate the ceiling involves laying polyethylene foam. Cut it into strips and nail to the ceiling. It is covered with foil, so it does not need to be additionally covered with heat-reflecting material. Polyethylene foam combined with cotton is an effective method of insulation. You can warm the walls in the same way as the ceiling, with only one difference - All materials should be laid in a horizontal position. 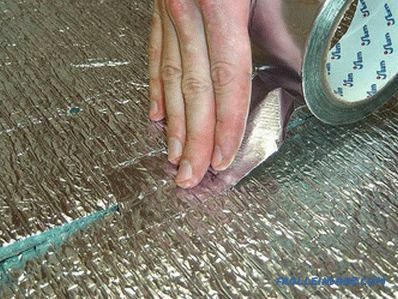 To avoid heat and steam leakage, cut a large-sized canvas out of foil. It should go on the floor and the ceiling. An important role in insulation is played by facing material. In the steam room you can not use the plastic wall paneling. This is due to the fact that under the influence of high temperatures, this material will begin to melt, causing an unpleasant smell in the steam room. 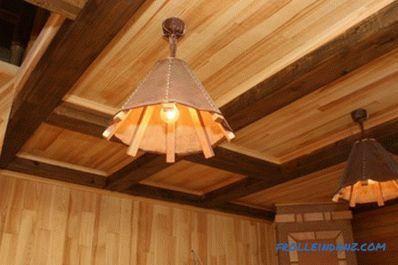 Larch lining is the ideal solution for steam room lining. This type of wood does not emit any resin in the process of heating the room and is very resistant to moisture. It is very important to warm the floor properly. Processes must be executed in the correct order. 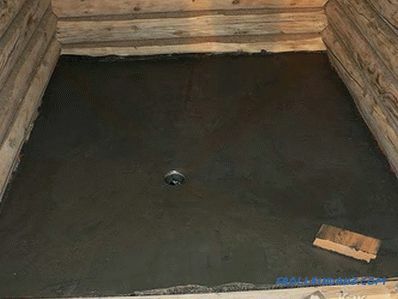 To begin with, the ground should be carefully leveled and the floor should be poured with a screed of concrete solution. 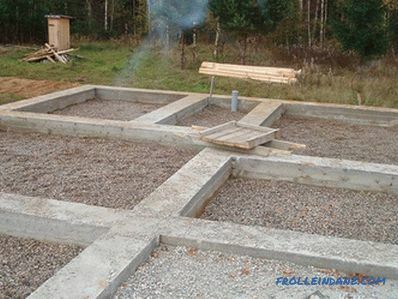 After it hardens, lay insulation material in the form of slabs on concrete. On top of it, stretch the waterproofing layer. Then again lay a layer of concrete with a slight slope. To hardened concrete nail logs from the tree. The floor is now ready for the finishing wood covering. Most often, as mentioned above, aluminum foil is used as a vapor barrier. 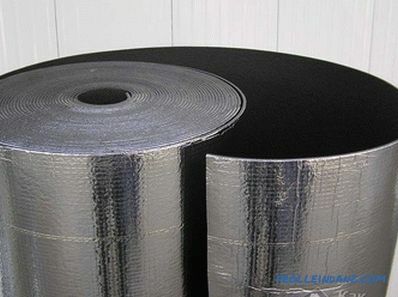 However, both ruberoid, asphalt, and polyethylene film can play this role. Therefore, it is worth thinking about what kind of vapor barrier material is better to stay. The economy version of a vapor barrier can be a cardboard impregnated with linseed. But it is worth considering that it will quickly become unusable because of what it will have to be replaced. However, as a temporary vapor barrier, this method is acceptable. 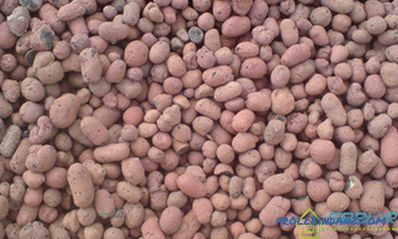 The polyethylene film retains moisture remarkably, but it contains harmful substances. In the process of heating steam rooms, they evaporate, which can be dangerous to health. The same can be said about ruberoid and glassine. 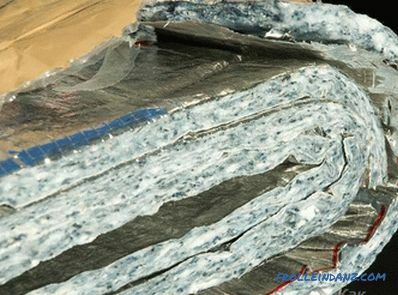 The most successful material for vapor barrier is aluminum foil or polyethylene foam. This is explained by the fact that these types of vapor barrier materials are non-toxic, they withstand high temperatures, reflect heat and do not absorb moisture. 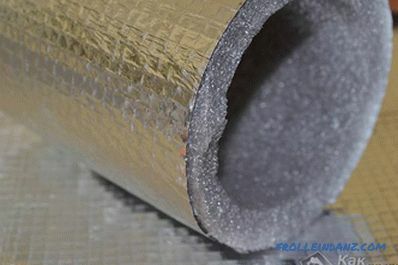 During the installation of the vapor barrier The material should be placed inside the room with the foil side. Lay the cloth overlapping. The joints and edges should be carefully and carefully sealed with tape specially designed for this purpose. Have you already participated in steam room warming works? What materials have you chosen? What was the result? Write comments on the article! Your knowledge can be useful!